Starting on 20th July, a crew of 9 men set out on a journey across the Arctic between Tromso in Norway and Iceland. The crew comprised the world’s fastest ocean rower Fiann Paul, double GB Olympic champion Alex Gregory, Tathagata Roy, Jeff Willis, ultra endurances athlete Carlo Facchino and Tyler Carnevale, Tor Wigum, exploration geologist Sam Vye and ex-Cantabs rower and Cambridge post-doc scientist Danny Longman. We’ve got various aches and pains, including some painful cold injuries to the feet, but we hope all will heal in time. Although we didn’t make it to our originally stated goal of Iceland, we felt some feelings, lived a lot, rowed a good few miles, worked hard, saw some cool things, broke a few records, definitely had an adventure and get to come home safe and sound. We can be happy with that. 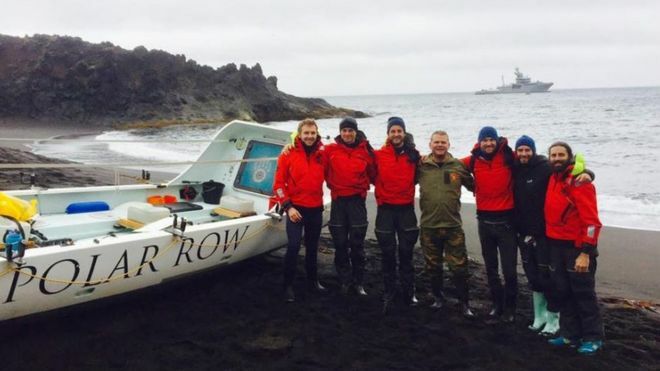 You can read more about the Polar Row on the expedition’s website.